Most people have never had a painting done, and they are concerned about the process, costs and the end results. When you get in contact with me, you will find out how easy it can be. First we will discuss what size and type of painting you want, and then we can discuss your expectations, Then give me some insight on what you would like the painting to look like and then I can tell you what I can do for you. Second you would supply me with a good photograph and then we can discuss if you want any changes done to it. The better the photo the better the painting. After we agree on everything, I will start the painting which takes about four to six weeks to dry depending on the size and the type of painting. I always used stretched canvas that are stapled on the back, that lets me paint the sides of the canvas so you don't have to frame it. I also put a small hinged loop on the back to hang it. Please see the pictures below. I use Aylkds they are a type of oil paint that takes less time to dry, on some paintings I can use a semi or high gloss finish to give it a different look. After the painting is finished I will have it scanned in case you want a print of it. That way if someone wants one I just call the printer. 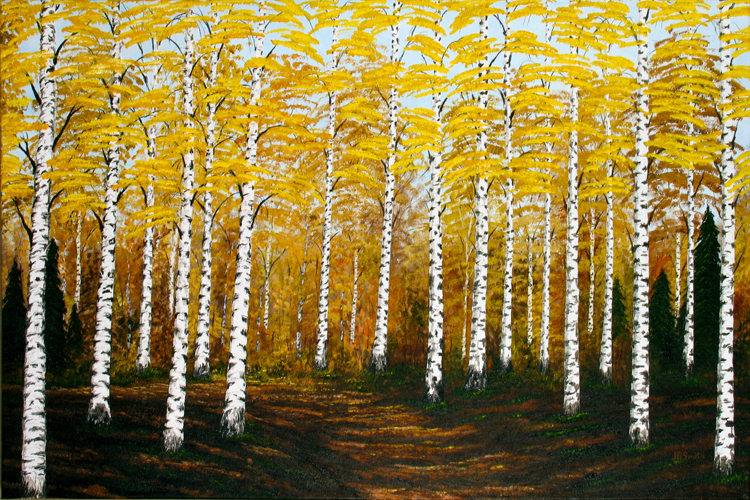 Paintings start at $400 and are based on size and what type of painting it is. Portraits may be a little more depending on the number of poeple, and other details. If you are interested in a painting just E-Mail me and I will give you a quote. This is as example of painted sides. Copyright 2009 JBS Custom Artwork. All rights reserved.